A few families got together for Shrove Tuesday, shared a pancake lunch and made a salt dough crown of thorns in preparation for Lent. 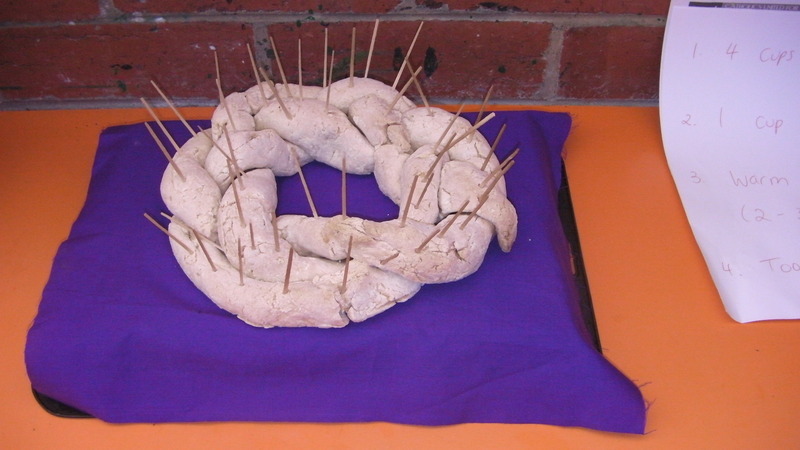 A Salt Dough Crown of Thorns. For each Lenten sacrifice a family member makes, he or she pulls a toothpick out of the crown. This activity makes a great visual reminder of Christ’s suffering: Parents can explain to their children that sin brings additional pain to Jesus’ suffering and good works can comfort Him and show our love for Him.